On November 28, 2019, OISCA International Executive Vice President, Mr. Toshihiro Nakano, Vice President, YBhg. 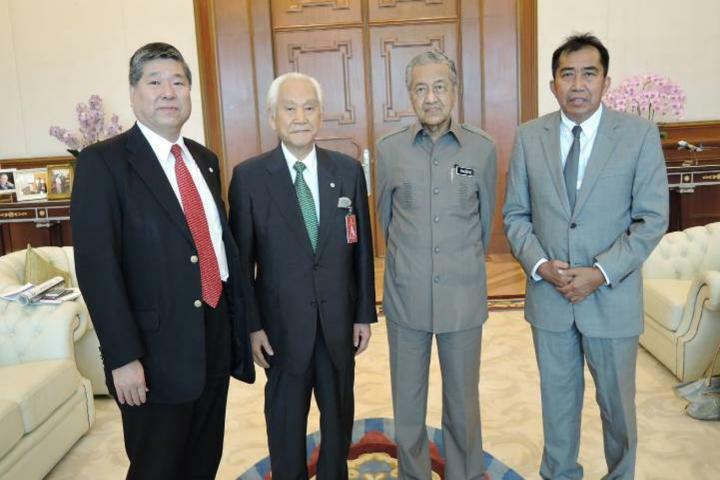 Datuk Ibrahim bin Ahmad and Secretary-General, Mr. Yasuaki Nagaishi met with Prime Minister Mahathir Bin Mohamad in Kuala Lumpur, Malaysia. During the meeting, Prime Minister Mohamad expressed his appreciation to the programs of OISCA in Malaysia, particularly the promotion of capacity development among the youth. 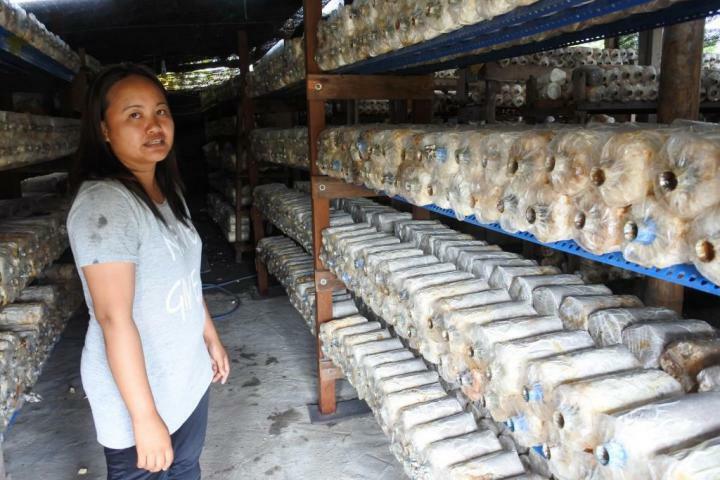 Over a half century, OISCA is collaborating with the Malaysian Government in empowering the youth through agriculture and manufacturing industry, reforestation projects, environmental education, livelihood development, and organizing seminars and conferences. The first batch of 6 technical trainees arrived in Japan on November 16, 1966 and underwent training at manufacturing companies that support OISCA activities. 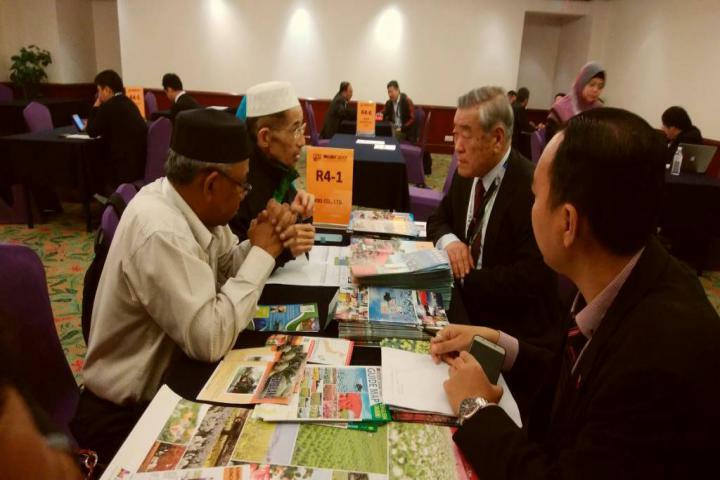 As of September 2018, OISCA received a total of 1,012 Malaysian trainees in Japan. In 1998, OISCA President, Dr. Yoshiko Nakano met with Prime Minister Mahathir when OISCA organized a Seminar on Entrepreneur Development in Kuala Lumpur. President Nakano also had a productive dialogue with Dr. Mahathir when he graced a Business-Matching Forum co-organized by OISCA with Majilis Amanah Rakyat (MARA) in Kuala Lumpur in October 2013. 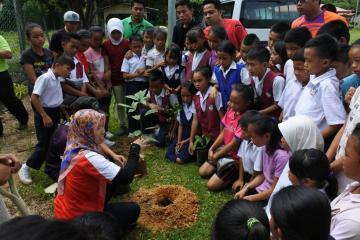 Environmental education initiated by OISCA among the students in Sabah, Malaysia.